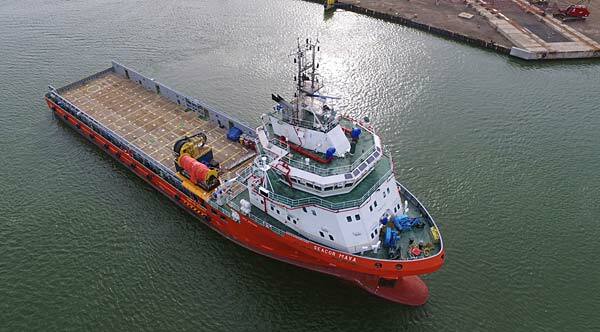 KONGSBERG has received an order to deliver unique “Full Picture” technology upgrades for a further three Platform Supply Vessels (PSV) owned by Mantenimiento Express Marítimo SAPI de CV, Seacor Marine’s joint venture in Mexico. The contract follows the September 2017 contract for the same ground-breaking upgrade package on the Seacor Maya PSV, which was an important step taken by Mexmar towards meeting the increasing industry demand to reduce the environmental footprint of offshore operations. supply and full integration of the energy storage system with a custom designed Energy Control System (ECS), and the existing Dynamic Positioning (K-Pos DP-22) and Integrated Automation System (K-Chief 700 IAS), both of which will be upgraded as part of the contract.